The developers behind Bunnycoin have made it their goal to “make using Bunnycoin as easy as using email”. While some have commented on the fact that Bitcoin still seems “industrial”, Bunnycoin is making rapid strides towards improving cryptocurrency user friendless with the purpose of achieving mainstream adoption and acceptance. To get started with Bunnycoin all you need to do is download the simple user friendly Bunnycoin wallet application via our Bunnycoin Downloads Page. Note: For backup purposes the applications have been made available on other websites as well. Once you have installed a Bunnycoin wallet application, you can then proceed to acquire your first Bunnycoins. There are several different ways you can acquire Bunnycoin… you can purchase it, you can earn it, you can “mine it” or lastly you can take advantage of one of the Bunnycoin giveaway promotions that periodically take place, in which generous Bunnycoin holders will giveaway coins to community members who simply engage in awareness campaigns on forums and social media platforms. The best way to purchase Bunnycoin at the time of this video is to utilize Bitcoin exchange sites to buy some Bitcoin (or Litecoin / Dogecoin) and then convert it to Bunnycoin. In the future we hope that many solutions will be made available in which users can convert their fiat currency holdings directly to Bunnycoin and vice versa. Alternatively if you know anyone who already owns Bunnycoin, you can simply offer to purchase some directly via cash or check. The second way one can acquire Bunnycoin is by earning it. It is the hope of the developers of Bunnycoin that over time a plethora of opportunities will be made available in which users can work and hire others using Bunnycoin. To help support the development and user awareness of these services we plan on compiling a comprehensive directory which will be made available via Bunnycoin.org, listing these services. Thirdly one can acquire Bunnycoin by mining it. For those of you new to cryptocurrencies, this might sound odd at first however fear not as I will proceed to explain it to you as simply as possible. Essentially mining is the process in which new Bunnycoins get algorithmically released onto the network. 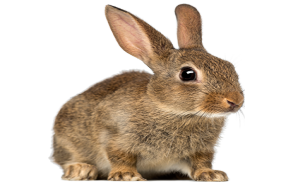 When someone mines Bunnycoins they are essentially running a small piece of the decentralized Bunnycoin network upon their computer in exchange for potentially receiving newly created Bunnycoins. Since Bunnycoin and other cryptocurrencies such as Bitcoin don’t have centralized servers, they utilize the computers of thousands upon thousands of volunteer miners around the World to process and secure the transactions of the network. To date by utilizing this decentralized “mining” model to run its network, Bitcoin has become by far the largest distributed computing power project in history. If interested in learning more about becoming a Bunnycoin miner be sure to check out the Bunnycoin Mining Page. Lastly as mentioned before, one can potentially acquire a few Bunnycoins by simply engaging in public awareness campaigns on social media platforms such as Twitter. Generous Bunnycoin holders will frequently give away coins to new users who participate in these campaigns. To stay up to date with the latest coin giveaways be sure to follow us on Twitter at Twitter.com/Bunnycoin . It is the goal of the developers of Bunnycoin that within a few years from now users will be able to spend their Bunnycoin with thousands of goods and service providers, both online and offline. There are several key advantages that make Bunnycoin advantageous to both merchants and consumers when it comes to making purchases. First off, merchants get to benefit from the much lower (almost nonexistent) transaction fees that the currency provides. This is exceptionally advantageous when running a retail business with traditionally low margins for instance. One of the things that helped Walmart become the global retail giant they are today is the fact that they literally “fight for fractions of pennies” with their supply chains. So is there a demand? Most certainly. Secondly by using Bunnycoin merchants will be able to receive their money faster and more securely through the elimination of credit card charge backs, which is always an advantage regardless of what business you are in. Seriously what business likes to have to wait for today’s antiquated financial system to deliver them their hard earned money? In today’s World where information can literally travel around the World “in a twinkle of an eye”, there is no reason why we should consent to using a system that still moves money so slowly, when there are now new alternatives and solutions. One of the biggest advantages of making purchases using Bunnycoin for consumers is the fact that the payment system works on a “push” instead of a “pull” based transaction system. One of the biggest disadvantages of credit cards is the fact, that once someone gets your credit card number they can essentially just keep billing you or flat out defraud you without your pre consent. With the Bunnycoin payment system this can be avoided due to the fact that it works based off a “push” system, meaning you must consent to the payment before it is made vs having to potentially deal with the situation after the fact. Secondly since merchants are saved money by using Bunnycoin, those savings will inevitably get passed down to the consumer. Already some merchants who accept Bitcoins as payment have started offering specific purchasing discounts to consumers who purchase using them, thus proving this concept of trickle down savings.